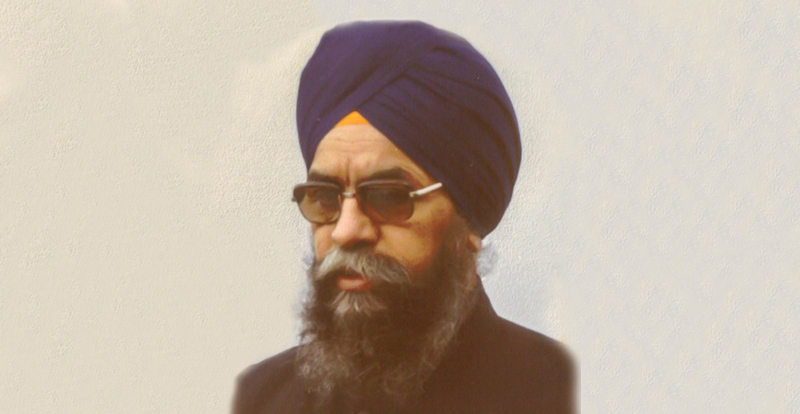 Giani Amolak Singh was born in the village Dhaat, Ludhiana, Punjab. His fathers name was Sardar Bogha Singh, and his mothers name was Mata Dhan kaur. After studying his Metric, Amolak singh went on to Punjab University, where he did the Giani course. Hence, he became affectionately known as Giani Amolak Singh ji. Giani ji interest in Sikhism began from his parents. His father was devout soul. 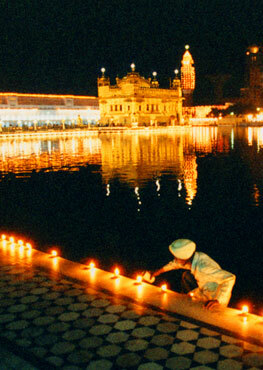 Everyday at Amritvela, he would take milk to the Gurdwara sahib, and sweep the floor. However the biggest influence in these early years was his Mama Ji. This was Master Joginder Singh, a well known Gursikh and close associate of Bhai Sahib Randhir Singh ji. Master is mentioned in many of Bhai sahib books. From the age of 5 years, Giani was in the sangat of these blessed souls such as Master ji, Bhai Sahib and the Akhand Kirtan Jatha. In 1936, Master Joginder Singh ji did seva at Tarn Tarn Sahib. Giani ji regularly stayed there and was inspired to learn keertan. Such was the blessed soul of Giani ji, that by the age of 8 years, he realised his path in life, and partook Amrit.